In the mid 1990s, public plans for a new Peace Bridge (1) showed the project would take over land occupied by the Episcopal Church Home nursing facility. The uncertainty of how long the facility would remain open had an immediate and prolonged negative impact on the facility’s business. As talks of a new bridge dragged on, the specter of an eminent domain takeover of the property made it impossible to sell. By the time the plans for the new Peace Bridge were officially cancelled nearly 20 years after they were first announced, Episcopal Church Home & Affiliates was officially caught in a perfect financial storm: the organization was saddled with a vacant property it could neither operate nor sell, and series of outstanding financial liens. In 2012, when New York State and Governor Andrew Cuomo took an active and vocal role in demanding progress at and around the Peace Bridge, a window of opportunity opened for Episcopal Church Home & Affiliates. Pantano & Associates developed a communication plan to help elevate the issue of the former nursing home property in the eyes of decision makers and the public. 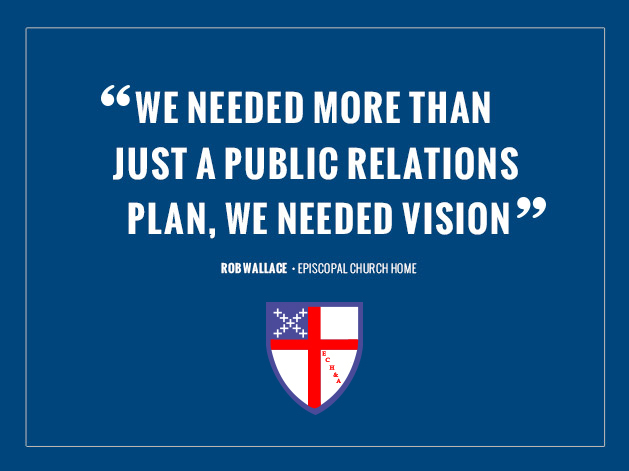 Earned media coverage, including print articles, television interviews and op-ed columns, helped Episcopal Church Home & Affiliates articulate the history of the property and the unique string of events that led its demise. Editorial support linked a resolution of the issue to long-awaited progress near the Peace Bridge. Talk of the issue became an integral part of the conversation and ongoing media coverage on Peace Bridge issues. Finally, a solution began to emerge through focused discussions with state officials. In August 2012, New York State and Episcopal Church Home & Affiliates announced at a joint press conference that a sale agreement had been reached that would simultaneously allow Episcopal Church Home to finally emerge from under the dark financial cloud which had hovered over the property for years, and allow the state to begin moving forward with improvements near the Peace Bridge after decades of stagnation. For Episcopal Church Home & Affiliates, a long enduring nightmare was finally over. (1) The Peace Bridge is located near the center of downtown Buffalo, New York, and Fort Erie, Ontario, where it crosses the Niagara River.